Lately, I have been receiving a ton of requests for shirt designs. Even though I planned on acquiring equipment in order to provide you with that, I actually changed my mind and partnered up with TshirtSkins. 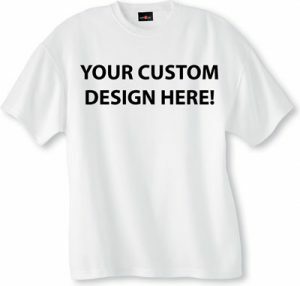 It is a fairly new company that, you’ve guessed it, sells custom t-shirt designs. So in the light of their recent boost in popularity, I decided it would be a good idea to team up with them. But what does that mean for you as my customer? Well, in the next couple of weeks, the folks over at TshirtSkins and myself are going to create a lineup of custom t-shirts with my beautiful logo printed on them. At this point in time, we still aren’t exactly sure how all of this will work. In other words, we are not that close to the final business plan. But do not worry, you will be notified when that happens. For now, I just wanted to let you know that pretty soon, you will be able to order these custom t-shirts. So far, we came up with 3 designs but we are still working on expanding our current selection. I for one, hope we will get at least 2 more so you guys have a nice little selection to chose from. So with that being said, it would only be appropriate to cut this article here, since there really isn’t anything left to be said.